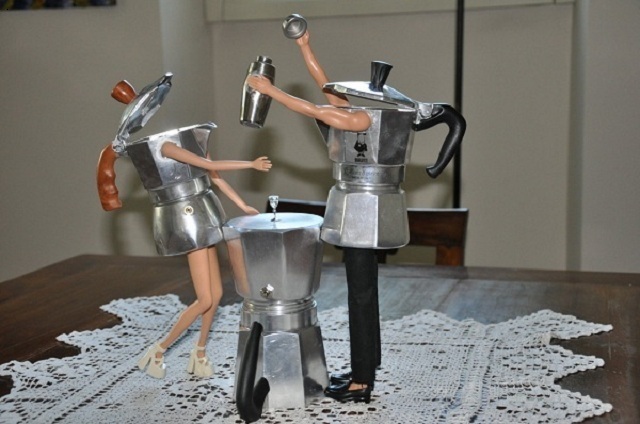 In 2011 I saw a Dama Bialetti Elite smiling at me with her radica ponytail. 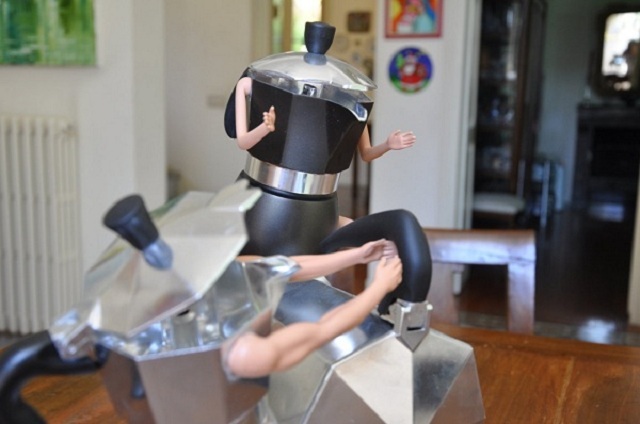 So, I decided to give mokas a new life! 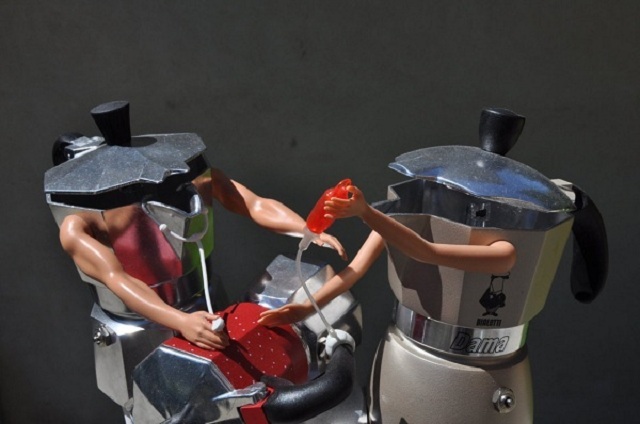 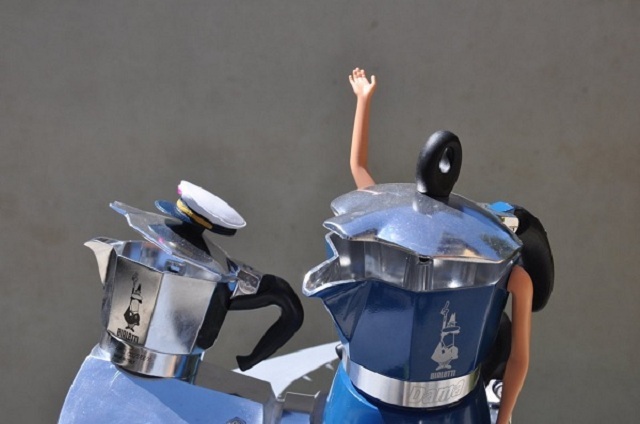 Finally, a new form of modern art where Bialetti mokas become barmen, hostesses, doctors, airplanes, horses, ships and other characters and objects. 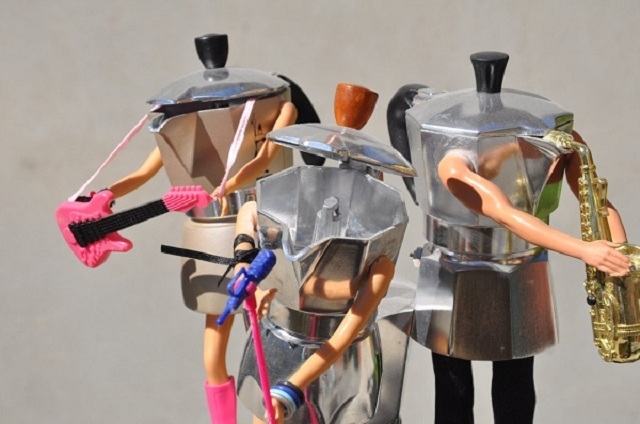 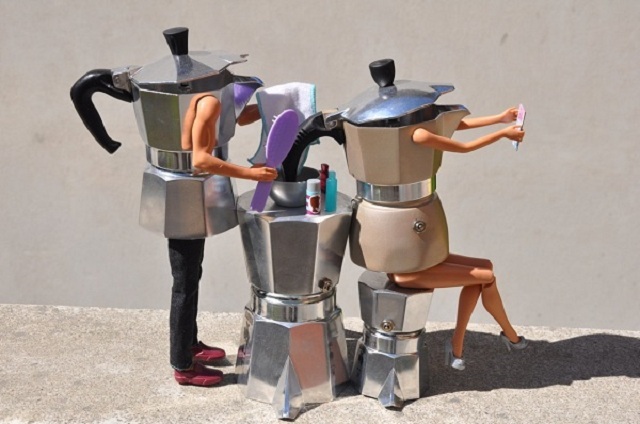 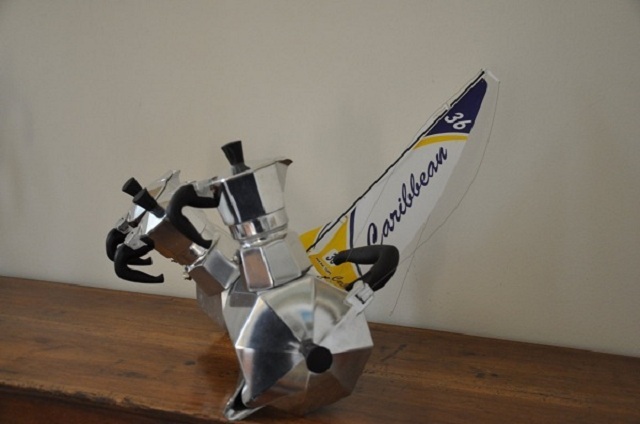 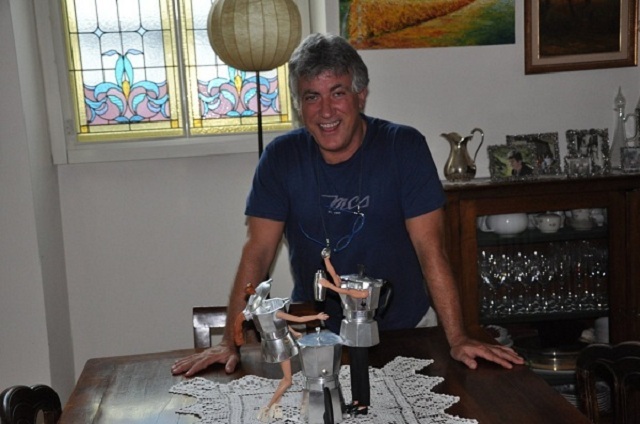 Enjoy my eight moka art sculptures created assembling objects, parts and decorations produced by renowned brands such as Bialetti, Mattel and Swarowski. 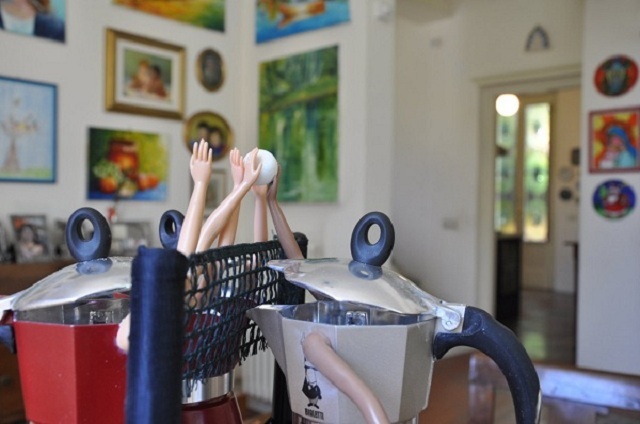 Go to the GALLERY to see more images.